With little more than a week before the start of the 2018-19 Premier League season, Manchester United could be on the verge of bringing in a new centre-back. We have been widely expected to sign a new defender all summer and it appears we are now far away now. That is because the Sun are reporting that Manchester United transfer negotiator Matt Judge has landed in Spain to finalise a £35 million move for Barcelona centre-back Yerry Mina. The La Liga champions are set to cash in on the 2018 World Cup star and Old Trafford appears to be the destination. Following our failed attempts to sign Leicester City’s Harry Maguire and Tottenham Hotspur’s Toby Alderweireld, the Colombian international has recently topped Jose Mourinho’s wanted list. The Foxes were demanding a staggering £65 million for the England hero, whilst Spurs wanted in the region of £75 million for their 29-year-old. Mina is believed to be available for £35 million. A report in the Sun now claims that Matt Judge will meet with the centre-back’s agent and then speak with Barcelona in hope to seal a move as soon as possible. Jose is keen to bring in another centre-back after last summer’s signing Victor Lindelof didn’t work out. On top of that the boss has never seem keen on either Phil Jones nor Chris Smalling being a long-term fixture in our first team. 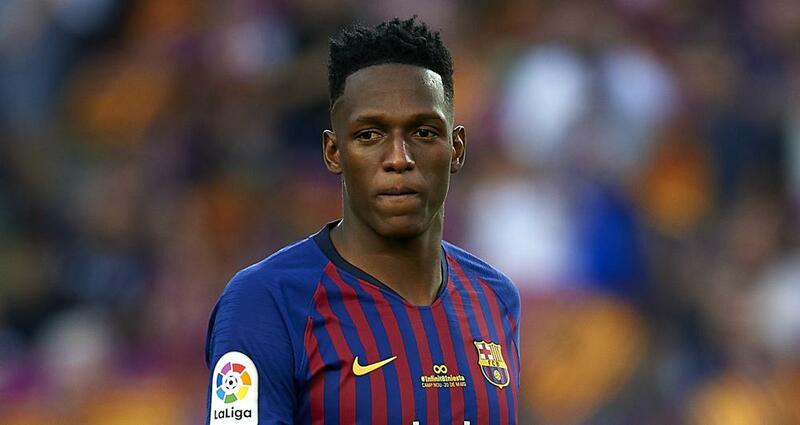 Yerry Mina only joined Barcelona from Palmeiras back in January but failed to earn a regular spot in their team. Ernesto Valverde’s side have since signing Clement Lenglet from Sevilla, giving them three top options at centre-back before the Colombian gets a look in. The 23-year-old increased his value in Russia this summer by scoring three goals with only three shots during his three matches at the World Cup. We shall have to wait and see if Matt Judge can iron things out at the Camp Nou as Yerry Mina would be an excellent addition to our side, particularly as we have so far failed to bring in a new centre-back this summer. Younger and cheaper than the alternatives, brilliant.